Srinath and Laxman recount their first experience of with Mastanamma's cooking, her childhood and her fanbase from Andhra Pradesh to Japan. 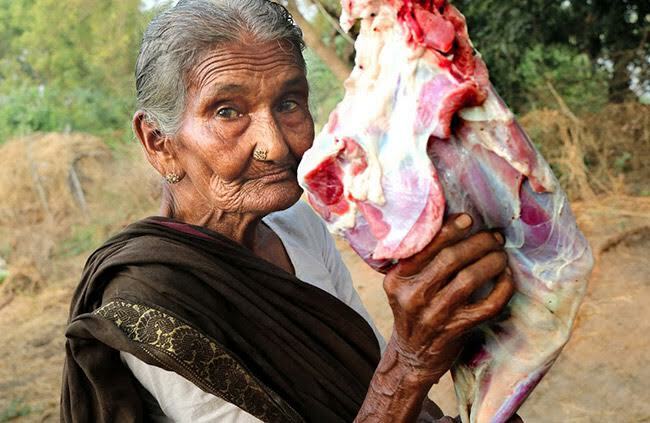 Mastanamma is no more, but her legacy lives on. The 107-year-old YouTube celebrity's death has saddened her fans around the globe. Srinath Reddy, one of the founders of the YouTube channel Country Foods, which featured the spirited Mastanamma and her cooking, says his phone has been buzzing non-stop for the last two days. 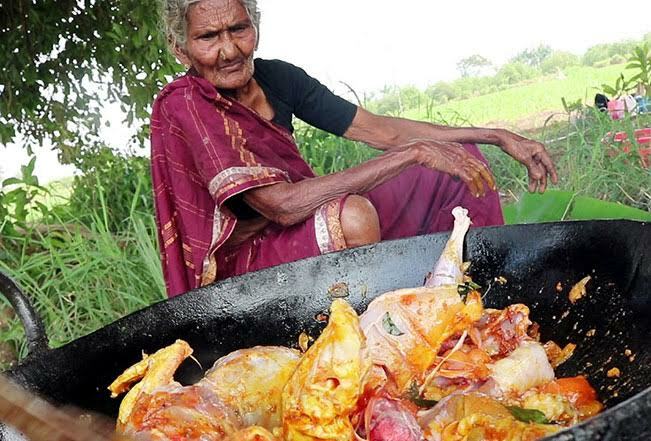 After the news of her death broke, Srinath has been receiving phone calls from across the country, from people who are curious to know more about the grand old woman, who had spelt magic with her delectable local recipes on YouTube. Unlike other YouTube celebrities, Mastanamma wore no make-up and donned an ordinary cotton saree in every video. She had no fancy cutlery to cook with and her recipes were made from scratch. Her relentless spirit and toothless smile left a mark in the hearts of her fans, so deep that grief poured in on social media on Tuesday after it was announced that Mastanamma was no more. Mastanamma’s fans, spanning from Andhra to Japan, were bereaved after Country Foods put out a video of her final journey on Monday. Srinath, who partnered with his friend Laxman, a close relative of Mastanamma, tells TNM how they accidentally chanced upon the 107-year-old’s cooking skills and how she received love from across borders. It was in 2016 that Laxman, who was in the Guduvada village in Guntur, asked Mastanamma to prepare a simple brinjal curry for his friends. They were delighted to see how Mastanamma cooked food in her own unique style and Laxman decided to shoot the process and upload it on YouTube. “In a single day, the brinjal curry video crossed 75,000 views. People flooded the comments section asking for more recipes and that’s when the thought of creating a YouTube channel struck us,” Srinath says. Each of the cooking videos has been shot in a picturesque location in the village. Apart from Mastanamma’s charm, the natural set-up added to the appeal of the videos. “She was active and always ready to work. We saw how unique her recipes were and how people could easily cook them in their kitchens with natural ingredients. She even had her own style of cracking open an egg or even adding a pinch of salt to the food. When her first video released, we showed it to her on our phones. Mastanamma was on cloud nine when she saw the kind of response it received. She handled her fame quite well and everybody in the village knew about Country Foods by then. She was a star in her own world in Guduvada," he adds. Mastanamma lived in Guduvada throughout her life. Named ‘Martamma’ at birth, she was adopted by a Muslim family, who did not have a daughter. They gave her the name ‘Mastanamma.’ As a child, Mastanamma refused to stay with her new family and soon returned to her village. 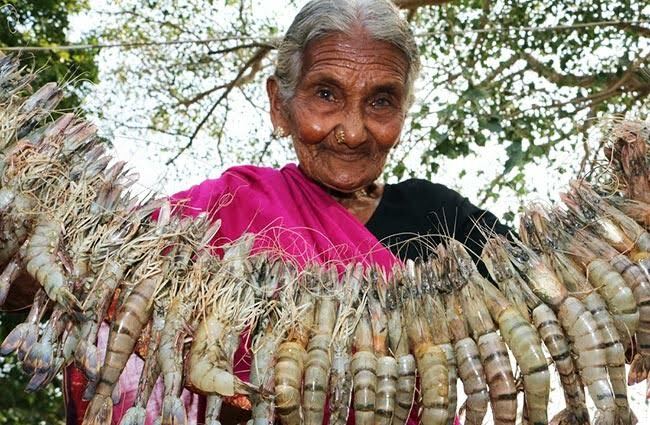 She worked as a labourer in the paddy fields of the village until she turned 100 years. “Mastanamma was married off at the age of 11. She had five children and her husband passed away when she was 22. She raised all five children on her own. In an epidemic that hit her tiny village of Guduvada, in Guntur district of Andhra Pradesh, she lost her four children to cholera. Her last child, a son, passed away two to three months ago. She left behind a huge family of about 25 people consisting of her daughters-in-law and grandchildren living in the village. Yet, till her health permitted, she used to work in the paddy fields regularly,” Srinath recalls. A glance through the comments section of the Country Foods channel on YouTube is proof of the diverse sections of the audience who were fans of Mastanamma’s videos. Srinath says that the 107-year-old’s non-vegetarian recipes were the most loved and fans often requested her to prepare seafood dishes, which were her speciality. She even had her own version of recipes for burgers and KFC chicken. Emmu egg omelettes, egg in tomato, beef paya….you name it and Mastanamma had it all! Srinath and Laxman, who live in Hyderabad, used to travel once every month to Guduvada and shoot three cooking videos of Mastanamma. The elderly woman would tell them what she had planned to cook, and the duo would get all the groceries or meat required for the dish. “We helped her set up the firewood and dishes. Once the food was prepared, Mastanamma distributed it among her grandchildren and great-grandchildren. It was a feast for her village,” Srinath recalls. One of Mastanamma’s smash hit recipes has been the preparation of watermelon chicken, a unique preparation in which marinated chicken is slowly cooked inside the shell of a watermelon, like a tandoor. The video today has around 11 million views. Srinath says once the channel became popular, the duo earned a moderate income from the channel they run. “But we didn’t earn enough to pay Mastanamma regularly as most of it was spent on buying the grocery and shooting the video,” he claims. Even before the 107-year-old passed away, fans of Country Foods had become restless over the last few months. The channel had stopped posting Mastanamma’s videos and this got the viewers worried. Many enquired if her health was fine. “We didn’t put up any video as the weather in Guduvada had turned really hot and Mastanamma had stopped coming out of her house. We used to shoot videos at nearby paddy fields, where she used to work. She didn’t have any particular illness, her health failed gradually with her age,” Srinath clarifies. Now that Mastanamma is gone, the duo is on the lookout for a similar elderly person from the village, who can cook. But can someone else recreate the magic that Mastanamma had managed to spin? “I do not know. Country Foods was started only after we found Mastanamma and that is the sole reason the views touched sky-high. We promise we will be back but her energy will be missed,” Srinath says.